I get a lot of my reading and writing done on my commute. It is during this 45 minutes to an hour journey, to and from work, that I allow myself to dig deep into my own consciousness. On a subway train packed with passengers, I’m in a space all my own. On my ride home earlier today, I started to read Thinking for a Change by John C. Maxwell. Though I am only 16 pages in, the lessons that I have learned thus far are invaluable. I urge you to read this book. But I am so impressed by it’s value that I will periodically share quotes and phrases. See below for what I’ve gathered thus far. Let’s read it together! 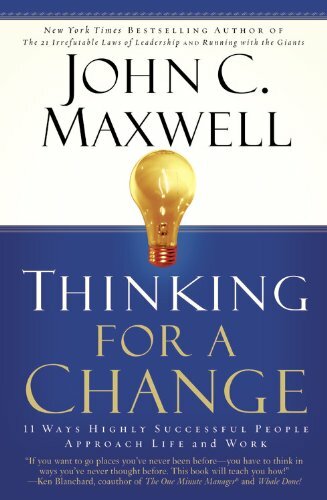 Posted in Motivational, My Thoughts and tagged as change, commute, commuter, growth, John C. Maxwell, motivational, NYC, reading, subway, Thinking for a change.